So, with the release of SharePoint Server 2016 IT Preview, I was very interested in performing an install with MAXDOP set to something other 1.With SharePoint 2013, if MAXDOP did not equal 1, the install failed when creating the configuration database and would show an error (see information about permissions at the end of this post). So with my first install of SharePoint 2016, I set MAXDOP equal to 5 in SQL Server and ran the install. The install completed successfully…to my surprise. I really thought I would see an error similar to the one above. So, for a moment, I thought I might have a new story to tell my DBA friends: “SharePoint Server 2016 doesn’t require MAXDOP=1!” But, that moment quickly went away and I remembered why the error message appeared in a SharePoint 2013 install – the install user did not have sufficient rights within SQL Server to change the Maximum Degree Of Parallelism setting. 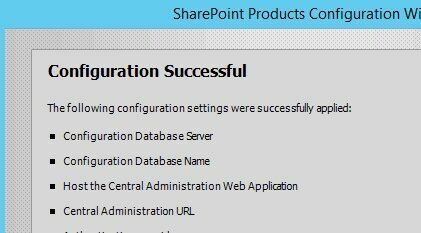 SharePoint 2013 actually does attempt to change MAXDOP to 1, but if you have SQL and SharePoint configured properly, your SharePoint account will not have rights to make changes to SQL system settings.